Shutter speed is the amount of time the digital camera's shutter remains open when capturing a photograph. The shutter speed setting on a camera plays a key role in determining the exposure of a particular photo. An overexposed photo will be one where too much light is recorded, which could mean the shutter speed is too long. An underexposed photo is one where not enough light is recorded, which may mean the shutter speed is too short. Shutter speed, aperture, and ISO work in tandem to determine the exposure. The shutter is the piece of the digital camera that opens to allow light to reach the image sensor when the photographer presses the shutter button. When the shutter is closed, the light traveling through the lens is blocked from reaching the image sensor. So think of shutter speed in this way: You press the shutter button and the shutter slides open just long enough to match the shutter speed time setting for the camera before closing again. Whatever amount of light travels through the lens and strikes the image sensor during that time is what the camera uses to record the image. Shutter speed usually is measured in fractions of a second, such as 1/1000th or 1/60th of a second. A shutter speed in an advanced camera could be as short as 1/4000th or 1/8000th of a second. Longer shutter speeds are required for low-light photos, and they could be as long as 30 seconds. If you're shooting with a flash, you must match the shutter speed to the flash setting, just so the two will sync properly and the scene will be lit properly. A shutter speed of 1/60th of a second is common for flash photos. With the shutter open for a longer amount of time, more light can strike the image sensor to record the photo. Shorter shutter speeds are required for photos containing fast-moving subjects, thereby avoiding blurry photos. When you're shooting in an automatic mode, the camera will pick the best shutter speed based on its measurement of the light in the scene. If you want to control the shutter speed yourself, you'll need to shoot in an advanced mode. In the Nikon D3300 screenshot pictured here, the shutter speed setting of 1 second is shown on the left. You'd use the camera's buttons or a command dial to make the changes to the shutter speed. Another option is to use Shutter Priority mode, where you can tell the camera to emphasize shutter speed over other camera settings. 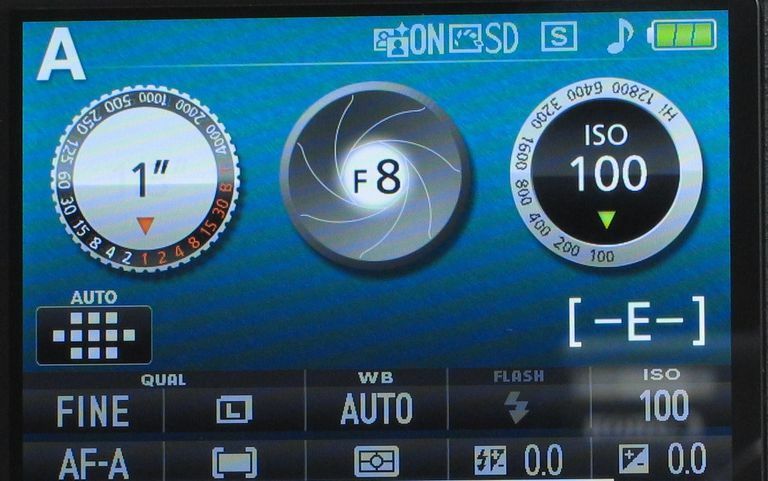 Shutter Priority mode usually is marked with an "S" or "Tv" on the mode dial. How Do I Fix My Olympus Mirrorless Camera? What Frame Rate Should Your Camcorder Have? How Much Resolution is Considered "High Resolution"?